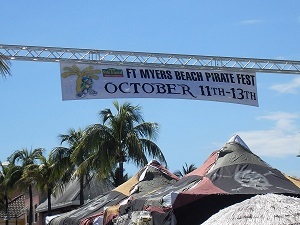 October wouldn't be the same without the annual Pirate Festival during the Columbus day weekend in Fort Myers Beach. For 3 fun-filled days you are transported back in time to where cannonballs thunder & rogues plunder all the booty they can hold - Arrrrr! Shiver me timbers mateys! Sun & Fun in Fort Myers Beach! 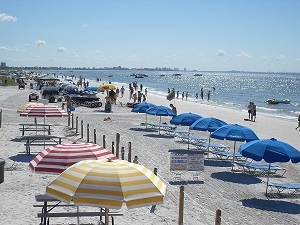 Fort Myers Beach (FMB), what a great place to be! Those of us that are lucky enough to call Fort Myers, FL home sure do enjoy getting out there where the water meets the sand every chance we get! Nothing like the feel of that white, soft, sugar-powdery sand between your toes and the mix of the warm gulf breeze to help you unwind. Average year-round water temperature is 77.5 F makes it perfect to engage in a variety of water-sports, or cooling-off after a nice brisk walk or sunbathing. It's true! Brighton Realty & Management here in Southwest, Florida has now expanded and is affiliated with Brighton Realty & Management in Canfield, Ohio. What an exciting time it is to join forces with our friends up in Ohio. Canfield, a suburb of Youngstown, is home to Ohio's largest fair with plenty of entertainment for everyone to enjoy. The fair starts in late August / early September for 6 fun-filled days. 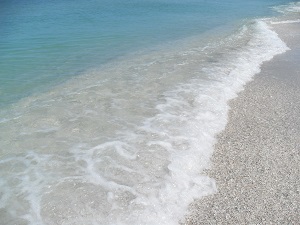 Once fair time is over, that "nip in the air" tell's them, it's time to head south to the warm weather & gulf waters of SWFL. Many of our "snow bird" friends are from the Ohio area. Every winter they "fly", or ride down, to enjoy the warmth and beautiful beaches of Florida's west coast.